Job Satisfaction Among Ministers Research Papers discuss an example of an order placed for a quantitative exploratory study. 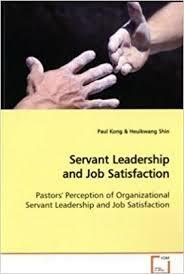 The variables leading to job satisfaction among ministers has not been clearly delineated in the current literature. Thus, the purpose of this investigation is to identify specific issues that may impact job satisfaction among individuals working in this profession. The central research guiding the development of this investigation is: What specific factors contribute to job satisfaction for ministers working in Birmingham, Alabama? Based on data collected in this investigation, it will be possible to identify key aspects of job satisfaction. Further, the data should provide some indications about the overall generalization of the data to a larger national sample of ministers. Given the paucity of information that exists on the specific issue of job satisfaction for ministers, this study will be a quantitative exploratory study, which will seek to identify broad trends in job satisfaction for ministers. While survey data could be used to understand overall job satisfaction rates of ministers, a research design which employs semi-structured interviews with ministers and coding of results will provide the bulk of the data collected in this investigation. Spiritual leaders provide individuals with the tools and resources needed to address difficult and challenging life issues. While the overall satisfaction and well being of ministers is often taken for granted—given that many choose this profession out of a desire to help others—there is a direct impetus to consider what specific issues can impact job satisfaction for individuals working in this field. This data could be used to make improvements for ministers currently working in the field. Further, this data could be used to inform candidates seeking employment in this particular field. Minister: For the purposes of this investigation, a minister is defined as any individual that has been granted the power and authority to conduct religious worship. Job Satisfaction: Despite a voluminous amount of literature on the issue of job satisfaction, the definition of this term remains difficult to uniformly identify. In a ground breaking study on job satisfaction, Authors identified job satisfaction as “the sum of job facet satisfaction across all facets of a job” . This broad definition of job satisfaction will be utilized in this investigation to provide a staring point for investigation into job satisfaction among ministers. State the research problem your study will investigate. Describe the significance of your study’s investigation of the research problem. Include a statement of the study’s particular significance to the field of psychology. Write out your research question. If there are sub-questions or more than one, number them accordingly. a. State the methodology you’ve chosen to answer your research question. a State the approach(es) (within the methodology) you’ve chosen to answer your research question. Mixed methods choose one in each. State the methodology model (version of the approach) you will use to answer your research question. Write a brief rationale for the methodology, approach, and model (if applicable) you have selected. Paper Masters writes custom research papers on Job Satisfaction Among Ministers and discuss an example of an order placed for a quantitative exploratory study.